Outside of the Pirelli Calendar, you don’t really see many pin-up girls these days. Which is a good thing! However, there is still a lingering fascination with pin-up girl culture, perhaps most embodied by the burlesque movement, which encourages women to get excited about their bodies. Also, a good thing! 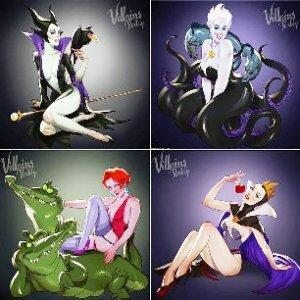 An artist’s new series experiments with what it might look like if pin-up girl culture collided with Disney villains.